Do you routinely find yourself in urgent need to charge your phone without having the necessary free time around an outlet to do it? uNu Electronics’s latest offering, the Ultrapak portable battery pack, promises to fit the bill: It’s capable of storing enough power to recharge your smartphone after just 15 minutes in an outlet. Ultrapak device itself contains a smart digital display that lets you know exactly what percentage charge it’s holding and how long you’ll need to leave it plugged in for a full charge. There are two USB outputs to connect your gadgets to – one low amp output for smartphones and a higher 2.1A output for charging larger tablets. There’s even a small backup flashlight built in to the Ultrapak for emergencies. You can find a 10,000 mAh uNu Ultrapak external battery pack at Amazon.com or direct from myunu.com for $99.99, though the device is backordered until mid-August. A smaller, 3000 mAh version is also available. Want another portable battery pack option? 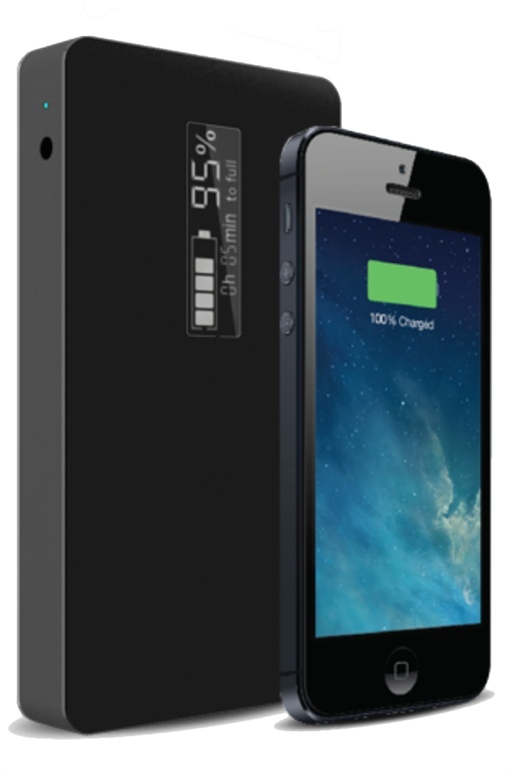 Check out the myCharge Hub 9000, our pick for the best portable battery charger. The $116.99 device offers a compact size and convenient built-in cables. Wow this is an amazing charger. I have miss many photos because I didn’t have a back up or waited so long to charge the party was done. I’m checking this out. Thank you for sharing.